Guest column: Who should pay for irrigation canal piping? Local angler and blogger, Yancy Lind weighs the costs and benefits of asking the public to fund piping of Tumalo Irrigation District's canals in this Guest Column that was published in The Bulletin on May 15, 2018. Central Oregon irrigation districts have spent hundreds of millions of taxpayer dollars piping their canals. They plan to spend hundreds of millions more. An example is Tumalo Irrigation District’s next piping plan which will cover 68.8 miles, take 11 years to implement, and is expected to cost $42,689,000, all paid by taxpayers. There are benefits to piping, including stopping the loss of water due to seepage and delivering pressurized water, but there are issues, as well. 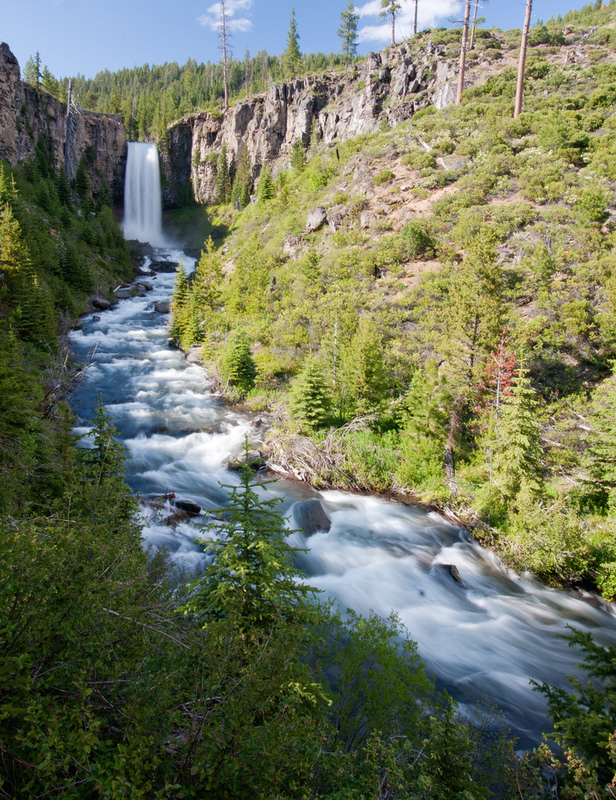 The Basin Study Work Group has identified complementary and independent tools to piping that offer significant, quick to implement, and lower-cost opportunities for water savings, which could restore flows into Tumalo Creek and the Deschutes River. A simple example would be to charge based on water use. Most irrigators, including those in TID, are assessed based on the number of acres under irrigation, not on how much water is applied. There is a long history of Central Oregon irrigators willingly returning water to the river. BSWG discovered that many more would do this if allowed, but district policies limit or outright forbid it. TID’s piping proposal is expensive. They believe they will be able to return 48 cubic feet per second or 15,116 acre feet to the river at a total cost of $42,689,000. That’s $890,000/cfs or $2,824/acre feet. Some of the market-based approaches studied by BWSG could cost less than $300/acre feet. The district serves 667 patrons who average less than 5 irrigated acres and produce little food for commercial distribution. Similar to most Deschutes County irrigators, TID is primarily hobby farmers who enjoy the lifestyle. Clearly, this is their right and is to be respected, but if piping is their preferred approach to conservation shouldn’t they bear some of the financial burden? The district estimates that piping their system will save patrons $385,000 a year in pumping costs. At a minimum, shouldn’t those savings be used to pay part of the bill? Those savings could cover interest on significant financing. Deschutes County has been blessed with a booming economy, but essentially, none of that growth is from agriculture. We have a lifestyle/recreation-based economy, and the Deschutes River is its lifeblood. The most beneficial use of the public’s water would be to return it to the river. TID is to be commended for working on solutions to restoring river flows while continuing water deliveries. Irrigators have a legal right to water and their chosen lifestyles. They should be good stewards of the public’s water, however, by using it efficiently and returning conserved water to the river. They should also bear a portion of the financial burden. Irrigators do not pay the public for any of the water they divert out of our rivers, but they get its benefit while asking taxpayers to pay the cost of modernizing their systems. In so many ways, this is simply wrong. You can comment on TID’s plan until May 22 by visiting www. oregonwatershedplans.org. — Yancy Lind lives in Bend and blogs at coinformedangler.org. Older PostCity Council Directs Urban Renewal in Bend Central District+ 🎉!